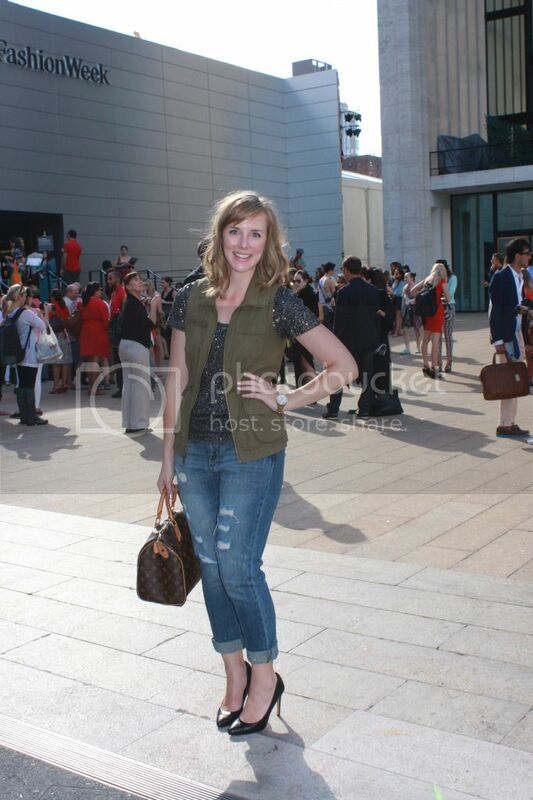 So I obviously wore more than one outfit during New York Fashion Week, however I only had time to photograph one! And thanks to Katie Bartels, I have these photos! 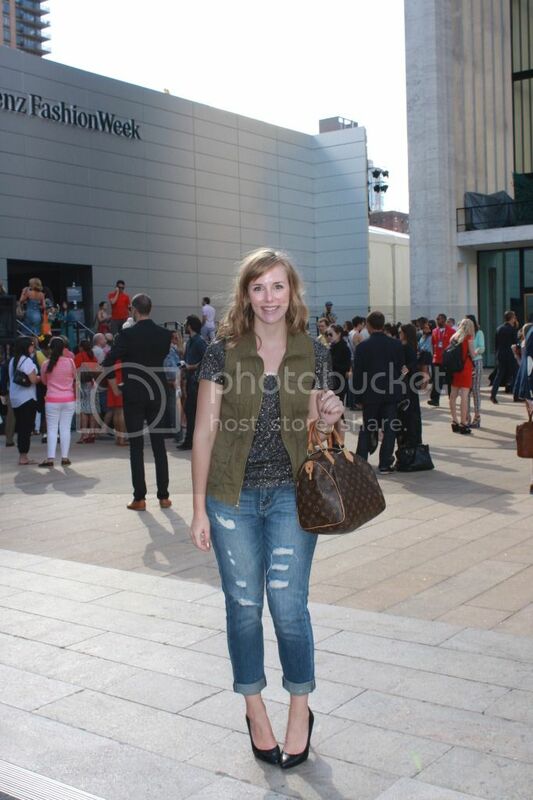 We met at the IFB Conference the week before and decided to do some people watching at Lincoln Center! It was entertaining to say the least. Really cool because we saw a ton of famous people and major people in the industry. Also, it's my goal to get back to a regular posting schedule this week - I'll have some pictures coming from a very exciting place pretty soon! Oh - I love this outfit!!! I may have to copy you! 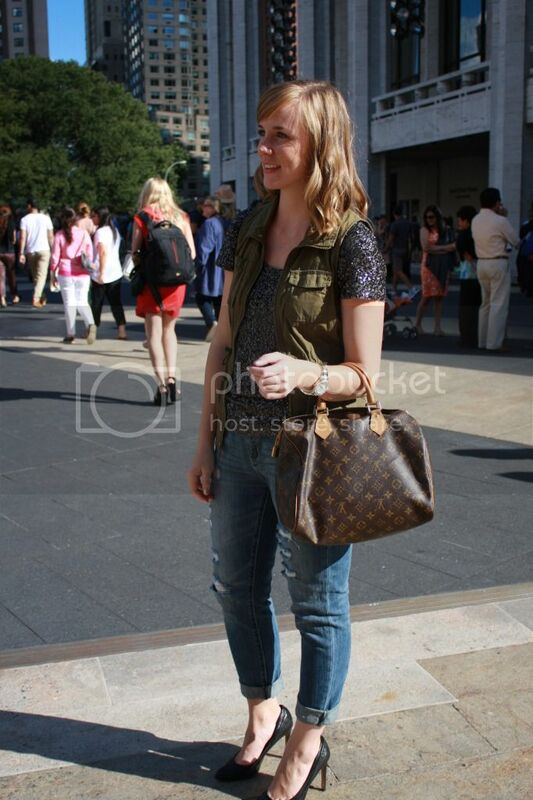 I've never thought of wearing a cargo vest over sequins, such a cute idea!! Great outfit! 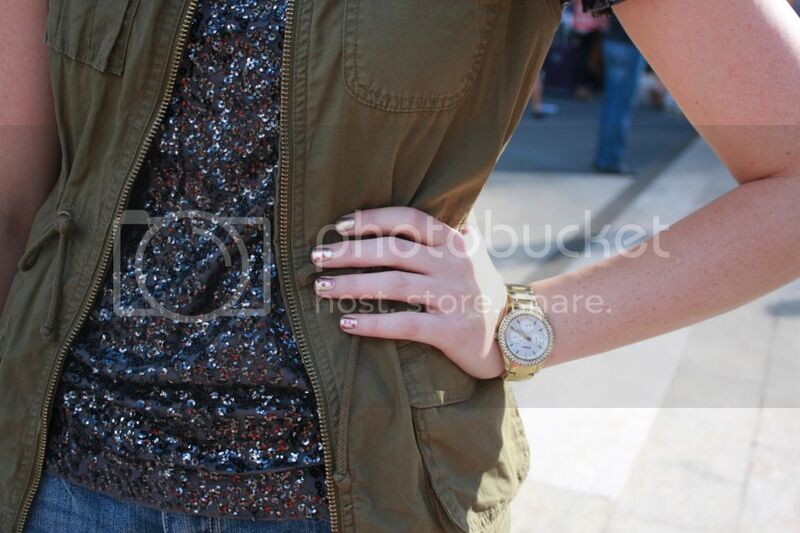 Perfect mix of casual and sparkle. LOVE the colour of your sequin shirt, and LOVE those ribbed jeans! So my morning coffee never happened, and it turned into afternoon and evening. One of those days! But I didn't want you to think I didn't read this because I think this is such a great look!! The sequin plus army-ish vest is so great. I have started my save jar to attend next year haha. And thanks for the bobby pin tip with the nail polish; it made great polka dots!! That sequin top--so fun!! I'd love to wear it out for a night with girlfriends!